(Q)uincy Hopes To C Better Days In The Future…. In continuing with the “Rider Report Card” theme to this update, comes the train. The train was considered average by the 3,481 who responded as it finished with a C grade. Lets get straight to the breakdown for the Q train which serves riders between Midtown-57th St. & Coney Island-Stillwell Ave. Here is another line where I believe the final grade was accurate. The Q like its fellow Broadway counterpart the N train, does a good job serving its riders. The main problem the line has is the inconsistency it displays from day to day, even hour to hour. I used to be a big user of the Q train back in its heyday as the Brighton express. I don’t ride it as much anymore but when I do, I happen to agree with the 3,481 riders who feel “Reasonable wait times for trains” is the #1 priority to be addressed. When I do use the Q, I don’t find myself complaining about the actual ride. My main complaint comes from the time it takes until one arrives. The Q is very inconsistent with this as one day or even one hour I will wait under 5 minutes for a train but the next time will be 12-15 minutes. I never know what I will get with the Q & that can be frustrating as besides that, I don’t think the line is that bad. One thing I have always wondered in a not so serious manner was whether there was a black hole where one Q train would disappear & a new one appear in its place. I say this as when I have waited for one, I start to wonder where could the Q have disappeared to. Sometimes I would stare down the tracks & start to think the train would never come again. I really feel the wait times stood out to me when I was photographing the Q at various locations. I would be on one platform shooting away & notice the lack of Q trains coming in either direction. I usually take my time & camp out at a location longer than the average photographer so I take notice to these things. I would look at the time & think something doesn’t seem right. I was not out photographing the Q during the overnight hours so the lack of service did seem alarming. No wonder why when the Q would finally show up, I would be forced to stand a good 70% of the time. You would think this would be the perfect lead in to the #2 priority which is “Minimal delays during trips”. However in my experiences riding the Q, we were rarely delayed which brings me back to my black hole scenario. I would love to hear from daily Q train riders in terms of the amount of delays they tend to run into. The #3 priority in my opinion could have easily been #2 especially considering it scored worse. Quite frankly when you look at the top 3 priorities, it is obvious how they all are connected together. One can clearly call it the domino effect as one chip falls, & there goes the rest following suit. I seriously am wondering about delays as for the most part the Q does not share track space. My first guess as to the culprit would be the Manhattan Bridge. Although you would think the schedule would be as such that any slower travel times would be factored in. 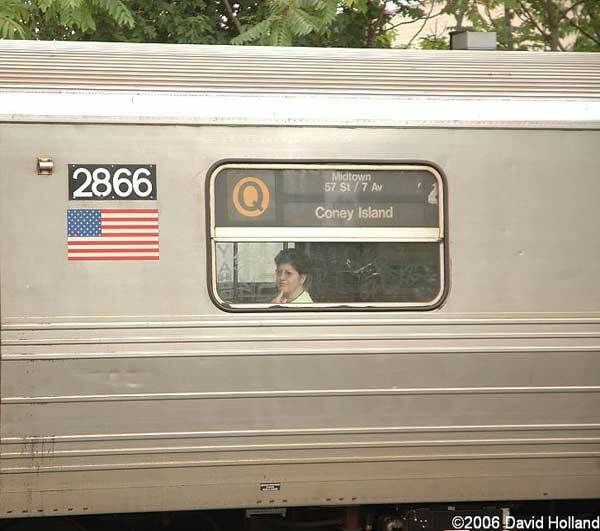 Lets hope the MTA does what is possible to make the Q train more consistent for all riders.